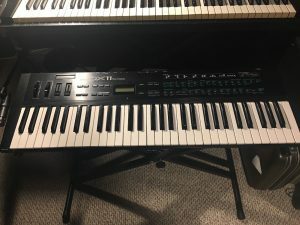 “Selling a Yamaha DX11 in cosmetically very good condition. All keys, sliders, wheels, and aftertouch work. There is, however, a bugginess where some of the higher patches selected will go into a function or edit mode instead of straight to the patch. The workaround, I have discovered, is to press the “internal” button right after, to actually go to those patches. This occurs when choosing Bank B as well, and is remedied the same way. My guess for the permanent fix is to upgrade the firmware EPROM chip. “great sounding unit here. the LEFT plastic side cover was cracked or broken sometime in the last 30 some years, and there was foam and tape Put over the missing end cap, to keep things protected and cover any sharp edges. 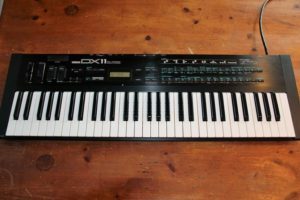 “A close relative of the infamous dx7. Mod wheels are wobbly, but functional. Works great other than that. Used, with some normal wear. “Fully functioning. Used but like new. Comes from a smoke-free home studio. Comes in soft case/bag. 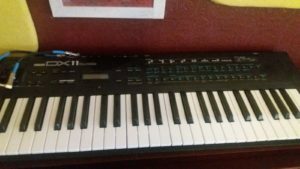 “Great vintage synth in exceptional condition for its age. Its not mint but for a 30 year old keyboard, it has minimal scratches and cosmetic marks. I don’t think it has seen serious use and it certainly hasn’t been heavily gigged! 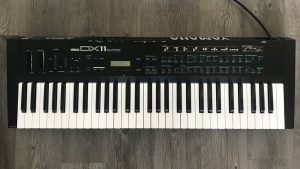 “Yamaha DX11 Digital Programmable Algorithm Synth. In very good condition. These are starting to become pretty rare. Comes with a strong hard case. I have not been able to use it. Excellent Condition. 100% Fully Functional. Perfect Working. 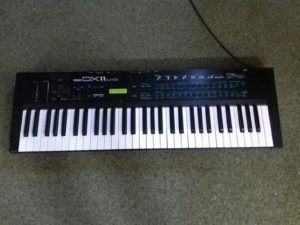 I am selling a used yamaha dx11, theres no sound a keep getting a message which says change ram battery. 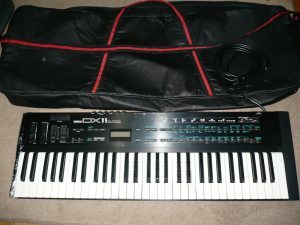 “Here for sale is a very rare Yamaha DX11 synthesizer. This is fully operational and comes in absolutely superb (good enough for a museum) condition. There is one very small scratch which is indicated on photo 6 but this does not detract from the beauty of this classic synthesizer, just want to be as honest as possible. 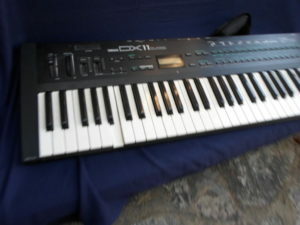 The DX11 is still to this day one of the slimmest and most attractive synthesizers ever made. 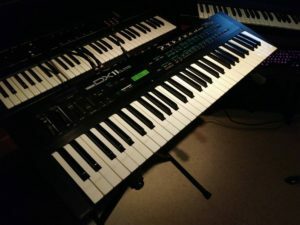 Coupled with the FM synth engine this guarantees to produce unique deep rich layered sounds which will make your sound stand out from the crowd. This a rare gem of a find and i can guarantee that you will not find another in the fantastic condition that this is presented. This comes with a very good flight case but is a bit rough around the edges as can be seen in the photos but still does its job perfectly. 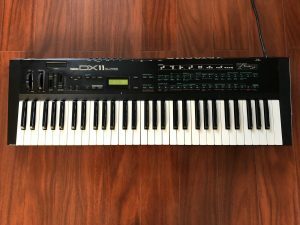 “This is a fully working Yamaha DX-11 FM Synthesizer. 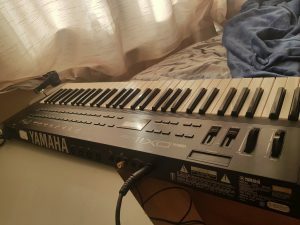 Some white keys towards the middle have light scratches. Sounds can be programmed to enable / disable this feature. Overall in very good condition, including the LCD.